First, some back story on Noah as a reminder before we get on to the instrument concept itself. Noah are are the ukuele wing of a company set up by Brit businessman Matt Cohen called Saigon Guitars. As a brand they work with a very small workshop in Vietnam (where Matt used to live and work) with the intention of providing very good value for money instruments that are NOT of the mass produced factory production line variety. Incidentally, Noah is the name of Matt's son. A nice concept and a nice story behind the name too! 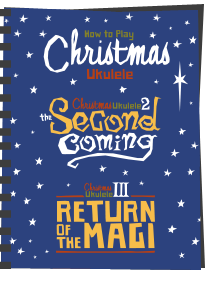 So I had previously looked at a couple of their ukuleles and liked them a lot, but as I say, this one is quite different. 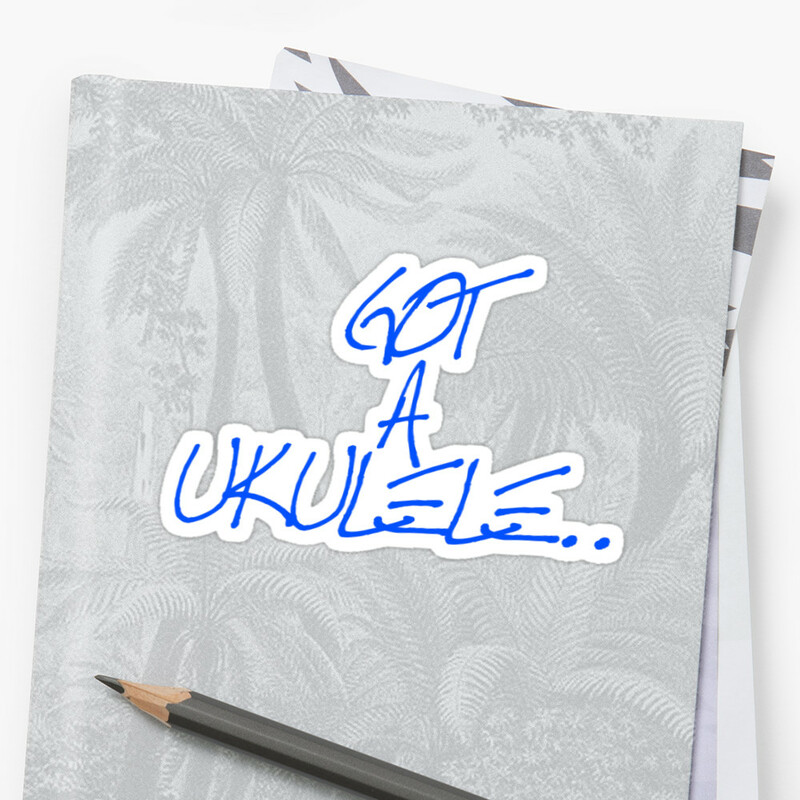 In fact is it a ukulele? Is it a guitar? You know what? I never personally care too much about what things are called as some people do - it's a musical instrument! Life is too short! 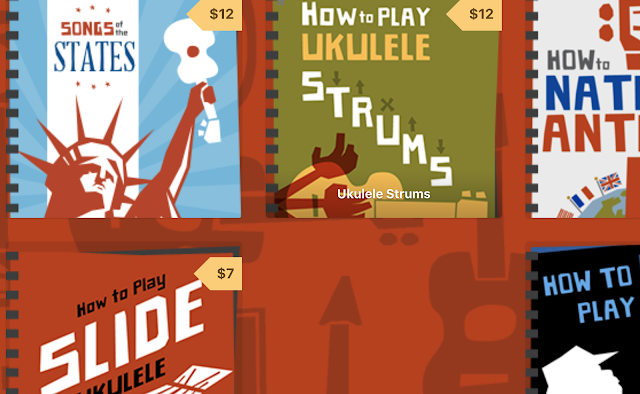 Though I suppose there is still quite a bit of confusion between the various types of 'extra string' ukuleles out there. First of all you have the 'four course' extra string ukuleles such as five, six and eight string models. With those you are still playing essentially four main notes (four courses), only some of the strings are doubled up and played together. 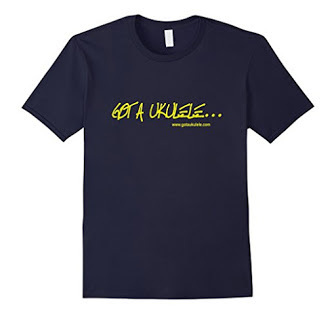 With a guitalele though you are getting two extra 'true' strings, meant to be played independently. With these you have six distinct courses, much like a guitar. It's also fair to say that the four course extra string ukuleles are far more prevalent, and this Guitalele is the first I have ever reviewed on the site and only the second I have ever played. And being a Guitalele, some of the more common comparisons between instruments don't really come into play as it kind of 'is what it is'. It's a double bout shaped instrument about the same size in the body as many baritone ukuleles. In fact it's the same sort of scale length as a baritone at 19 inches too. The body is made from all solid Monkeypod wood, which is always a pleasure to look at. Monkeypod, also known as the Raintree is an exotic timber from tropical regions with a distinctive curly, stripy and wavy grain pattern that works to great effect on musical instruments. This one has a two piece top and back, both of which have been nicely bookmatched to show off that wavy curl in the wood. It's really attractive I think and a good analogy I once read about Monkeypod is that it is reminiscent of clouds in milky coffee! I think it's absolutely beautiful. This review model is finished all in satin, but Matt also offers it in a gloss coat if you prefer that. It's pretty well applied all over, but there are one or two bubbles here and there if such things annoy you. The back on this is very slightly arched and the sides are also made from two pieces with an inlaid strip of pale wood where they join at the base. That inlay matches the pale wood edge binding that decorates the top and back and really sets off the wood nicely, and not too gaudily. Around the soundhole though we have abalone, where I would prefer to have seen something plainer to match the edge binding myself. I'm never a fan of mixed decoration types. The bridge is a tie bar style, made from rosewood and fitted with a non compensated saddle which appears to be made from bone. Like other Noah instruments, they tend to apply a gloss coat to the bridge mounts that I don't particularly like. A look inside shows a tidy build on the whole. A few spots of glue and some wood shavings but I suppose that's to be expected from a workshop instrument. Up to the neck and this is described by Noah as being made from maple. It's certainly very dark maple if it is, and I would have put money on it being mahogany, but there you go! It's made with a stacked heel joint (capped in more pale wood trim) and possibly a very well hidden joint at the headstock. Naturally, being a Guitalele the comparisons with normal ukuleles end here as this is naturally a much wider neck on account of the extra strings. It's also very much a classical guitar profiled neck I find, and whilst it's wide, it is nice and shallow in depth. Topping it is a roswewood fingerboard which is nice and dark, but showing quite a few tooling marks from the builder. Again, this bothers some people and it would be amiss of me not to mention it. We have 20 nickel silver frets in total with 14 to the body joint. To be more accurate we have 19 and a half frets as that 20th one is cut in two by the curve around the sound hole and not really useable! They are all dressed very nicely and the edges are bound in darker wood hiding the ends. We have pearloid dot inlays at the 3rd, 5th, 7th, 10th, 12th and 15th spaces, with the 12th being a double spot. Thankfully these are repeated on the side too. And as I say, this is a wide neck, so at the nut this is measuring about 48mm. Despite sharing a lot of features with the guitar, I would also note that the neck is very much of the 'classical guitar' style as opposed to the folk guitar or electric guitar. That is to say its wide and very flat with no radius. Past the bone nut we have a slotted design headstock, which is always something I like to see. It's faced in a darker wood and detailed quite nicely with some carving notches in the top that give the indication of petals of a flower on the top edge. The Noah logo is inlaid in pearl and sets it off nicely. Tuning is provided by rear facing, unbranded geared tuners with white pearly buttons. They are arranged three a side and also look extremely classy I think. Completing the deal is a padded gig bag and what look to be light gauge classical / Spanish guitar strings. And for that you will be looking at £299 in the UK, which I don't think is a bad price at all. In fact if this WAS a guitar, you'd be hard pressed to find one made from all solid wood for that kind of budget. It's nice in the hands too. Not overly heavy, nicely balanced and nicely set up too. No complaints here. A very tactile instrument. I said above that I had played only one guitalele before, and that was a Yamaha model. I didn't actually get on with it all that much as I found the sound a bit wishy washy and not doing it for me. Perhaps that's because I mainly play acoustic folk guitar and I was wanting more of that kind of sound, but then perhaps that's a flawed comparison - they are never going to sound like that. From the off though the tone of this one has been really pleasing to me. Just richer, yet brighter than that Yamaha I had played. Incidentally, I have this tuned to ADGCEA - so essentially the same as ukulele standard tuning with two extra bass strings, but with the right strings you could also get this to standard guitar tuning (EADGBE). 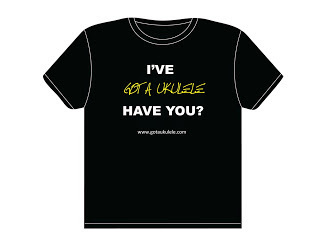 Of course, using those relative tunings means that if you are a ukulele player you will recognise the majority of guitar chord shapes as the finger positions on strings 1-4 will be exactly the same as for ukulele. Not a huge amount extra to learn then - just a couple more strings! It's just got a really rich warm sustain to it that I have been really quite taken by. For me it's not an instrument to thrash / strum chords on (although I can see it working well with flamenco style), but it shines when played fingerpicked. A more contemplative instrument if you will that I very much enjoyed testing sat in my garden. 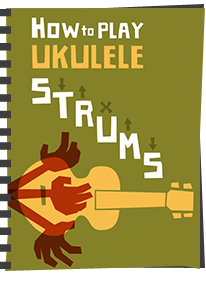 Those two extra bass strings, naturally, are giving a more rounded overall tone to the sound that you just can't get from a four string ukulele. Volume isn't as loud as I would have expected, but it's no slouch. No complaints on the sustain though particularl from those wound strings. No, it doesn't sound like a ukulele (it isn't a ukulele) and not it doesn't sound like a guitar (it isn't a guitar). It merely sounds like what it is, and it's rather nice for that! Who does this suit? Well if you have a grounding in classical guitar this will be right up your street. 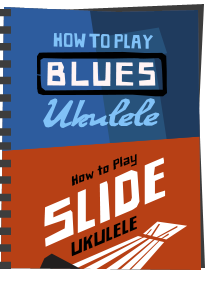 If you are enjoying the ukulele you might very well enjoy this and use it as a first step towards dabbling with the guitar too. (And seriously, when I see some ukulele players get almost evangelical in their dislike for guitar... trust me, they need to broaden their horizons in my view..). Most of all though, I applaud it for offering music lovers another 'option' that they might not have considered. A nice option too that looks and sounds great. Would prefer more consistency with decorative materials.